Each Tab represents a different stage in your FH reporting. Click on each Tab for instructions on what needs to be completed for successful reporting. If you are required to complete FH reporting, it is important that you incorporate specific FH field collection and processes into your Course Offer, Learner and Enrolment setup. Spending a little more time up front can save a lot of time later. FEE HELP File Guidelines outlines each field that is required for your particular reporting requirements. 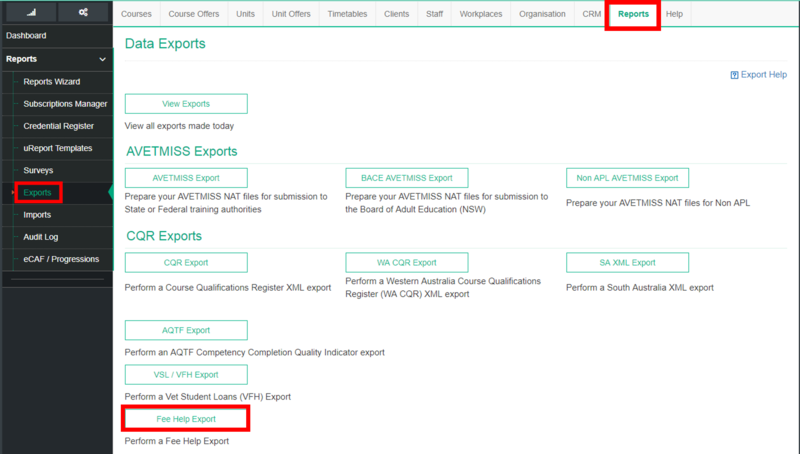 If your export appears to be missing information check this with the corresponding export on the FEE HELP File Guidelines page.